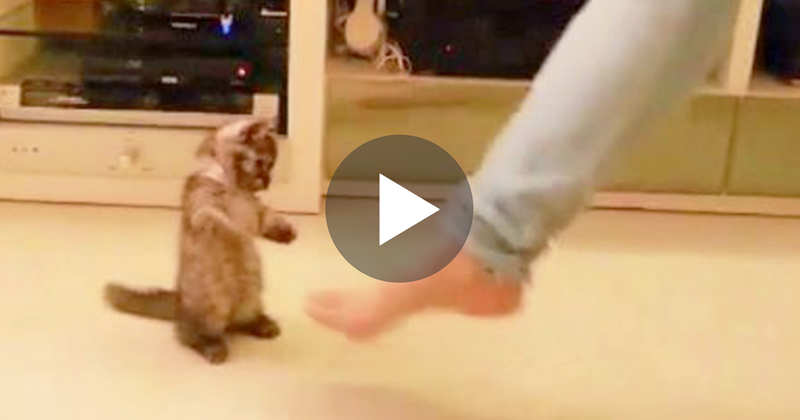 Home » Videos » She Starts Tapping Her Toes To The Music, But Now Watch How The Kitten Responds… OMG!! She turns on some music, but every time she starts taping her toes to the music, the kitten responds in the cutest way ever – this adorable little fluff ball is so happy to be adopted and it’s SOO cute! At just 6-months old, this kitten is energetic and excited about everything! – Anything that moves is very intriguing to this kitten and his response is just the cutest and funniest to watch!